Become a monthly donor and provide continuous support to the thousands of animals LHS cares for each year. Your monthly gift will be processed automatically. Click here for details. Support the animals at the Lexington Humane Society (LHS) by leaving a lasting memory. Choose between a kennel plaque, memory tree plaque, or donor tree leaf. Your donation is helping care for the thousands of animals that look to LHS for help each year until we find them their forever homes. Click here to learn more. Please contact our Special Events Coordinator at (859) 233-0044 x 252. We are proud to announce the establishment of an Endowment Fund with Bluegrass Community Foundation. While we are working hard providing exceptional care for the thousands of animals who look to us for help each and every year, we are also planning for our future to ensure we can continue to Give Love, Teach Love, and Adopt Love for many years to come. If you would like to have your donation go toward one of our life-saving programs, such as the Second Chances Fund or Spay'sTheWay, please note this on your check or your online donation. Learn more. Include LHS in your life celebrations! Simply let us know about a special event in your life (e.g. wedding, birthday, anniversary, Bar/Bat Mitzvah, retirement, graduation, or holiday) for which you'll be requesting donations be given to LHS in lieu of gifts to you. Click here for more information. Use your Kroger Plus Card to benefit the animals every time you shop! Click here for more information and to learn how to sign up. AmazonSmile is a simple and automatic way for you to support the Lexington Humane Society (LHS) every time you shop, at no cost to you! When you shop at smile.amazon.com, you’ll find the exact same low prices, vast selection and convenient shopping experience as Amazon.com, with the added bonus that Amazon will donate a portion of the purchase price to the LHS animals. We are proud to be a BISSELL Partner for Pets member! BISSELL and LostPetUSA.net have teamed up to help organizations like ours raise money, and now you can help, too. When you purchase pet products on bissell.com and enter the code ADOPT at checkout, a portion of the purchase will be donated to our organization. Purchase a gift card for any Bluegrass Hospitality Group restaurant and 20% will be donated back to LHS! Click here for more info or to purchase a gift card. Download the Wooftrax app and raise money for LHS while you walk your pet! Simply select LHS as your charity of choice when you register with the free app, and much-needed funds will be sent directly to LHS! Don't just take your dog for a walk... Take your walk for a dog! Remember to check with your place of employment to see if they offer a charitable gift matching program. The future successes of LHS depend on donations of all types. So, please consider including us in your estate the next time you review your will. These types of planned gifts can help ensure the continuation and expansion of LHS's services and programs. Park Community Credit Union and LHS have partnered together to create a debit card to provide support for the animals. The Lexington Humane Society debit card is NOW AVAILABLE at all Park Community Credit Union Bluegrass locations (Lexington, Richmond, and Berea). Click here for information on how to get your LHS debit card! Donate your car to the Lexington Humane Society. Click here to learn more about how you can donate your vehicle now! Looking for pet vitamins, pet dental products, skin and coat supplements or other pet supplies? Order with Pet Rescue Rx and 100% of your purchase will go to the LHS animals when you select us as your charity of choice! Click here to shop and order with Pet Rescue Rx. Click here to check out our Amazon Wish List and purchase items to be sent directly to LHS! Want to lend a paw? When you use our code LEXINGTONHUMANE on any 6- or 12-month BarkBox subscription, they’ll donate $25 to us, and you’ll get your first box for 50% off! BarkBox is a monthly delivery of original dog toys and all-natural treats, sure to make your pup flip out with joy. To get started, click here. Reward yourself for supporting the homeless animals in your community by enjoying a Shake Shack "Pie Oh My" concrete mixer! 5% of all sales from their "Pie Oh My" concrete mixer will be donated to your LHS. Give your spine the support it needs while supporting the animals at your Lexington Humane Society! Visit Pelphrey Chiropractic, where your first visit only costs $25 and 100% of the proceeds will be donated to your LHS! Click here for more info. Our friends at Varsity Print are selling some pretty cool shirts! Check out some of their LHS themed merch, where 50% of the proceeds will benefit your LHS. 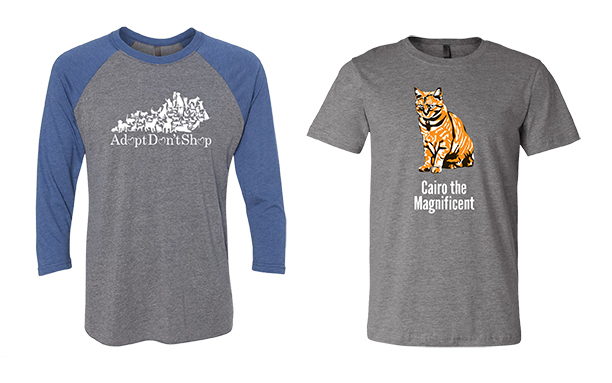 Also, if you’re a friend of Cairo the Magnificent (who isn’t), click here to see some of their Cairo themed shirts. All proceeds benefit the animals at your Lexington Humane Society! 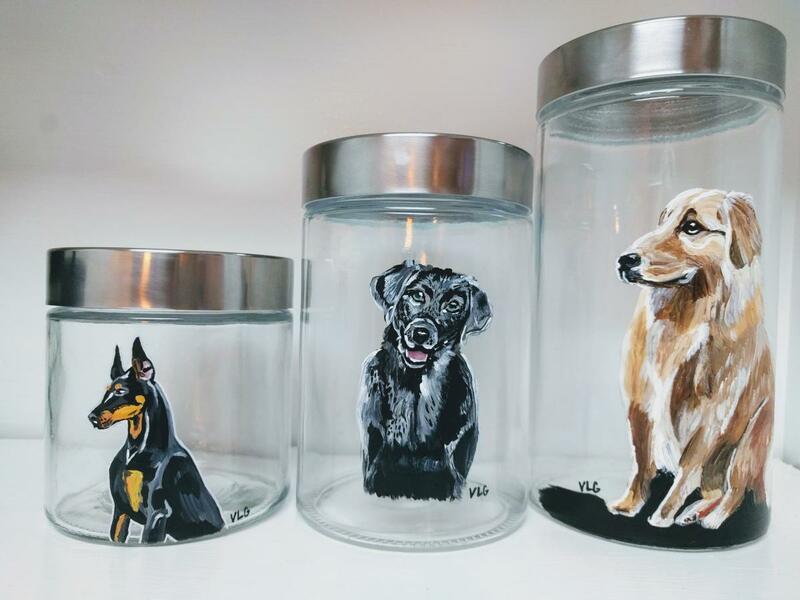 Running With Color creates memories through several avenues but loves supporting the animals through her precious and customizable artwork! With every purchase made on her website, LHS will receive 5% back to help care for the animals! Click here to view Running With Color Art. 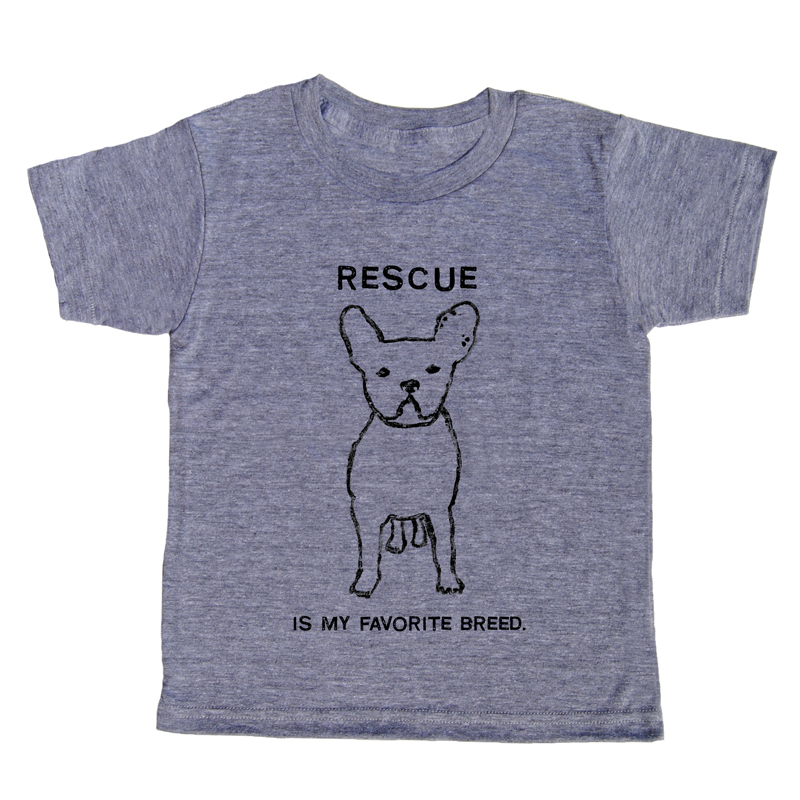 Rescue Shirt at Sugarboo & Co.
Sugarboo & Co. at The Summit at Fritz Farm will donate 10% of the proceeds from their adorable rescue shirt to benefit your LHS! Because our pals at Sweet Tea have such a deep love and compassion for animals, they will be donating 5% of their net profit from t-shirt sales to your Lexington Humane Society! Their donation will be used to help the over 5,000 animals LHS cares for each year. Click here for more info! Use Give Back code "LHS" while signing up for a beauty box and Petit Vour will donate 100% of the proceeds of your first box to the LHS animals! This code also gives you 50% off your first box. Click here to start shopping! Click here to learn how to get a FREE adoption or a donation made to LHS on your behalf!